Metro by T-Mobile highlights, in its latest commercial, that you can save $1200 vs. AT&T and Verizon when you get 4 lines for 30$/line. 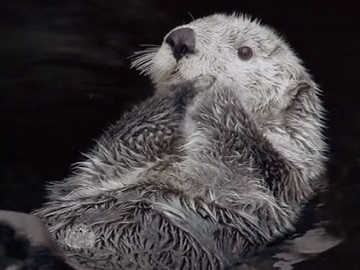 The 30-second spot features two otters swimming and talking about what they’ve been doing. “Oh yeah, round of applause for me. I switched the whole fam to Metro. Oh, we were paying too much with AT&T. Now we’re saving $1200 a year on a great network,” one of the otters says. “Wow, that’s smart. Almost as smart as swimming into this hot spring,” the other otter answers. “Oh, so smart, makes my fur feel extra silky,” the first otter adds, asking his fellow if he wants to feel it? “Switch to Metro. Save $1200 a year on a network that covers 99% of people in the US, just like AT&T and Verizon. Plus, get Amazon Prime included,” the voiceover says at the end of the commercial, adding the tagline “Metro by T-Mobile. That’s genius!”. In the past, since launching its new advertising campaign, following the acquisition by T-Mobile, Metro by T-Mobile has also featured other talking animals in its commercials – two wildebeests on the bank of a river, talking to each other, two grizzly bears talking about the company’s new plans, that include unlimited high-speed data, Amazon Prime for entertainment and Google One for more storage, and a family of penguins talking about the company’s deal that offers 4 new lines for $100. MetroPCS’ change of name was announced in September 2018, more than five years after T-Mobile’s acquisition of the carrier. A new advertising campaign, informing about the new name and the new enhanced unlimited data plans, as well as about the fact that the company’s service runs on the same wireless network as T-Mobile, has been subsequently launched.